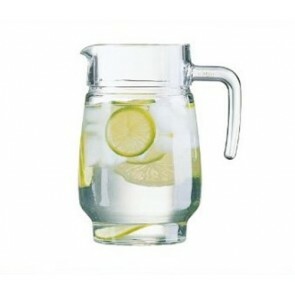 ﻿ Water carafe - Purchase/Sale of Water Carafe. 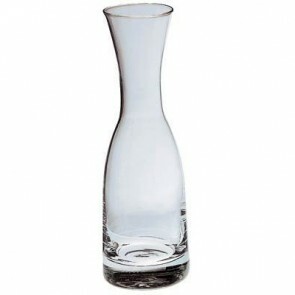 Discover our range of beautiful water carafes that will add an elegant touch to your tables. Essential to serve water or other drinks of your choice (iced tea, mojito, lemonade), this glassware item is a must in summer. Traditional look or modern design, you will find the model which will glam up your tabletop on AZ-Boutique. 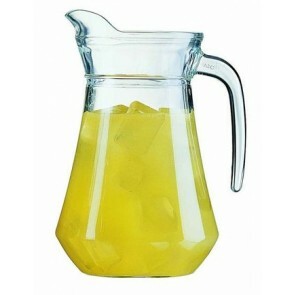 You will find carafes of different capacities to fit your needs. This water serveware will not only allow pouring water but will also beautify your tabletop during a meal. Water carafe, wine decanter, whiskey carafe: some story! This object is characterized by a more or less wide base and a long narrow neck. The famous glass decanter had a real boom at the wine barrel era. It was then used to transport the wine from the cellar to the table for immediate serving in wine glasses. From now on carafes are also used for the service of the water during a dinner, to decant the wine in order to rid it of the sediments or to serve the whiskey. 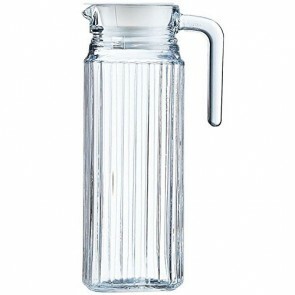 You will also find insulated decanters including the Bodum decanter or stainless steel carafes to preserve the warmth of your hot drinks. 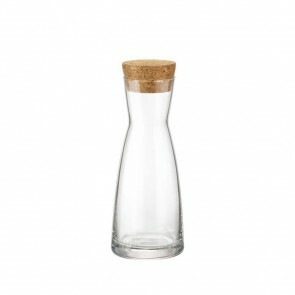 The glass carafe is an environmentally friendly alternative to the plastic bottle. In addition, plastic bottles all have a degree of toxicity even minimal. In high doses, the chemicals contained in plastic bottles can present very serious health risks and impregnate mineral waters and spring water. 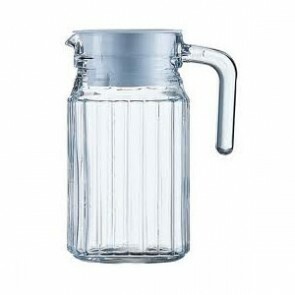 On the other hand, the water carafe has the advantage of being reusable and does not leave an undesirable aftertaste in your drink. And if you're thinking of purifying your body and stocking up on antioxidants, the glass carafe is perfect for serving your "detox drink". 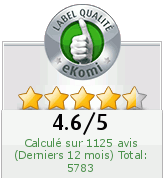 Many prefer bottled water because even hot tap water contains microorganisms and even lead. In order to be sure of the quality of the water and to comply perfectly with the sanitary safety standards, you can boil the water before serving it at the table. To clean your carafe, use a bottle brush for more maneuverability. Carafe design or vintage style, find the style you need directly online on AZ boutique from brands such as Arcoroc, Luminarc,or Luigi Barmioli. Most of our carafes are dishwasher safe. This utensil is a timeless tableware that brings a refined note and some elegance to your decor. 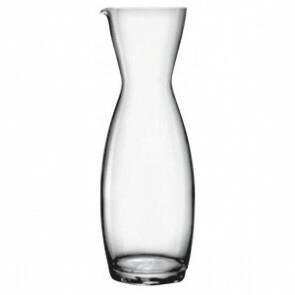 For all your cold drinks at a picnic, your summer cocktails with some ice cubes and even your smoothies discover our range of glass or crystalline carafes from 25 cl to 150 cl at very affordable prices. And don’t forget its less known very useful function: aerating wine! 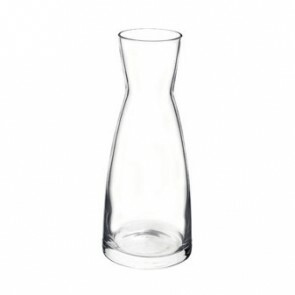 Discover also our range of glassware accessories for entertaining your guests in style: 1 Liter water pitcher, water jugs, wine carafe decanter, stemware, clear glass whiskey glass, champagne flute, glass tumbler, cocktail glass. 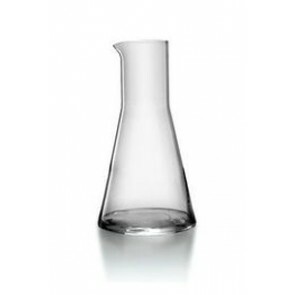 Stylish glass water carafe with spout, wine decanters, porcelain water carafe, bpa free carafe with stopper/lid, polycarbonate water carafe or crystal water carafe of different dimensions: AZ boutique your catering and tableware store features carafes from famous brands such as Luigi Bormioli, Bormioli Rocco, Arcoroc or Revol. For the beverage service of the at the table also think of our range of other drinkware, barware, and dinnerware items: pitchers, wine glass pitcher, sangria/punch bowl, double walled glass, ice bucket, tumblers, wine glass, beer mugs, drinking glass set, transparent wine, bottle holder, glass bottle with mechanical cap.